Lentils are easily available at your local grocery store. They have protein, carbohydrates, fiber, vitamins and minerals. They are fairly easy to cook and can be used in many types of dishes. They can be a good vegetable source of protein which you can substitute for meat. 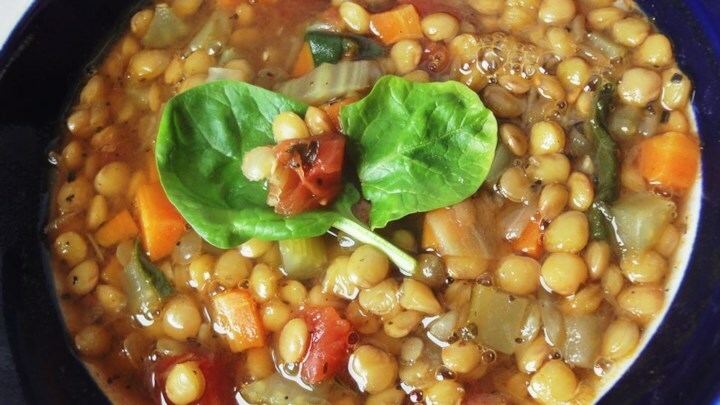 Lentils are perfect for soups, stews, salads, curries, and side dishes. The combination of ingredients you can use with it is virtually limitless! There's another advantage to lentils which is that the amount of fiber will trim our waistline before the heavy meals make their way into our diets. This mouth-watering soup is only 100 calories, naturally (almost) fat free and has 6 grams of fiber so eat to your heart’s content! As an added bonus, this recipe is great for both you and your kids. 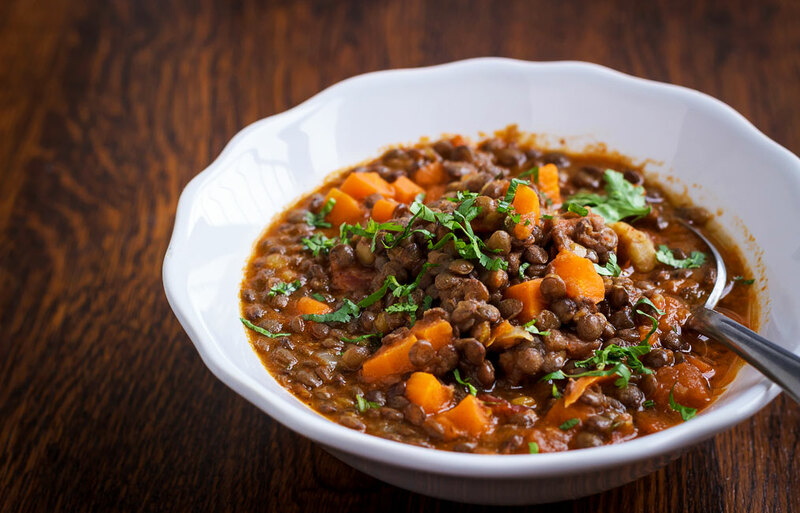 Lentils are a nutrition powerhouse – not only packed with fiber, are a great sourceof Iron, for energy, and have lots of folate and magnesium for heart health. Below are some amazing Recipes which will help you to shed some cals as they are one of the Fat burning food also has less calorie content! Also, a different body has different calorie requirements and know that how many calories do you need.. And choose your intake accordingly. 2. Add onions, carrots, and celery; cook and stir until onion is tender. Then Stir in with bay leaf, garlic, oregano, and basil; cook for around 2 minutes. 3. After that Stir in lentils, and add some water and tomatoes. Bring to a boil. 4. Cut down heat, and boil for at least 1 hour. When ready to serve stir in spinach, and cook until it wilts. 5. Stir in vinegar, and season to taste with salt and pepper, and more vinegar if desired. 1. Rinse and drain the dry lentils. 2. In a cooking pan mix up the tomatoes, potatoes, carrots, celery, parsley, basil, garlic, and pepper, lentils, vegan broth. 3. Simmer for 45-50 minutes until lentils and vegetables are tender, stirring occasionally. ● 1kg kumara, peeled and cut into 2cm piece. ● 1 red capsicum, cut into 3cm pieces. ● 2 medium beetroot, cut into 3cm pieces. ● 2 medium courgettes, cut into thick slices. ● 400g can Lentils in water,drained. ● 250ml bottle Eta Creamy Balsamic Dressing. ● Toasted mixed seeds (sunflower, pumpkin sesame), optional. 1. Preheat oven to 200°C. Place the vegetables in a roasting tray and toss through 2 tablespoons of olive oil. 3. Roast for 20 minutes or until vegetables are tender. 5. Place the vegetables into a large salad bowl. 6. 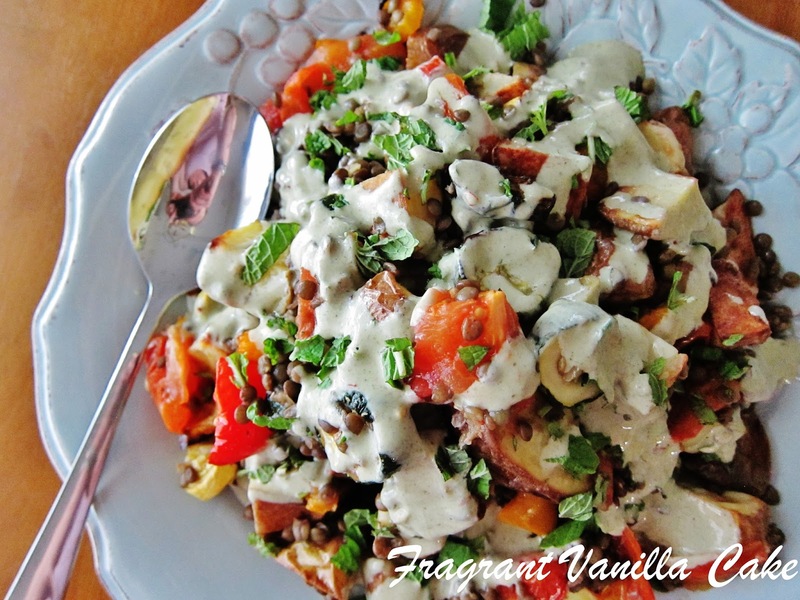 Add the Lentils in water and about 1⁄2 cup Eta Creamy Balsamic Dressing. 7. Carefully mix through, adding a little more dressing if wished. Toss through the rocket and top with crumbled feta. 8. Sprinkle with toasted seeds if desired. 2. After that start cutting the sweet potatoes into size of small bite cubes and then finely chop the coriander. 3. Place the coconut milk, tomatoes, turmeric, cumin and ground ginger in a large sauce pan, allow these to heat until they begin bubbling. 4. At this point add the sweet potato cubes, lentils, olives and coriander plus salt and pepper. 5. After things are mixed just place the lid on the pot and place it in the oven to cook for 45 minutes to an hour, until the potatoes are soft and everything tastes delicious! Now squeeze the lemon juice directly into the pot and then serve it. 6. If rice is being made then just boil this when the pot goes in the oven so that the two finish cooking at the same time. 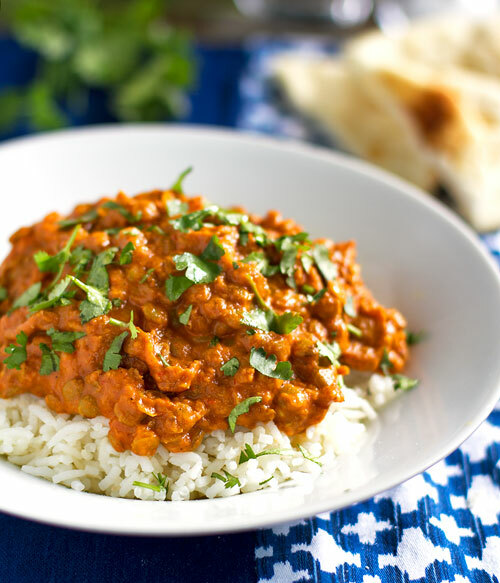 Lentil curry is a famous Indian dish that we all have appreciated. It’s a tasty bowl of piquant and spicy dish perfect with steamed white rice. There are a lot of colorful vegetables herbs and spice mix involved in this recipe, and you can find different variations of the recipe. This simple lentil and sweet potato curry recipe are packed with the curry goodness and the sweet, earthy sweet potato flavor.